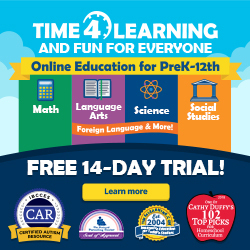 Legal and practical information for Florida homeschoolers, including networking and county-specific lists of evaluators, tutors, and support groups. What is a non-traditional, or 600, School? The name 600 School has come to be applied to those Florida private schools that offer a homeschooling option. The reference to ‘600’ has to do with the number of the state statutes that govern the incorporation of private schools (although private schools in Florida do not have to be incorporated). From a legal point of view, there is no difference between a private school that offers a homeschooling option and one that does not. Florida private schools serving homeschoolers are sometimes referred to as “umbrella” schools. May I Enroll in a Private School and Still Homeschool My Child? YES, as long as the private school offers a non-campus or homeschooling option. Not necessarily. In many cases, the annual tuition is comparable to the cost of an annual evaluation, which is what you’ll have to submit if your child is registered with the school district. In addition, private schools often offer services that will be of benefit to your family. Must I Notify the Superintendent if I Enroll in a Private School? No. Once you enroll in a private school, you are no longer considered to be homeschooling according to Florida state statute. This does not mean that you will be any less of a homeschooler from a practical standpoint, simply that the law recognizes a difference between private school students and home education students and applies different rules and privileges to each. You must weigh the pros and cons of each status before deciding whether to register with a private school or as a home educator. Again, this legal distinction has no bearing on your ability to teach your children at home, but may have other implications for your family. What Information About My Child Will Be Shared by the Private School? In this case, private is truly private. Private schools never disclose information about their students to anyone, unless requested to do so by you. Each private school is required to give the state informaiton about its student body on an annual basis, but this is aggregate data only — that is, the schools report how many students they have at each grade level. Beyond this, the only people to receive information about your child’s progress is you (and anyone you authorize). It is completely private. 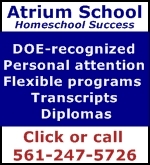 There are many private schools catering to homeschoolers in Florida. Before selecting a school, you will want to make sure the school is a good fit for your family.